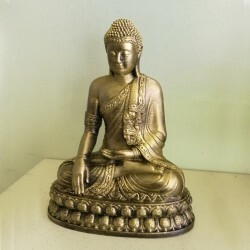 A very decorative Thai style sitting Buddha figure. Printed in PLA plastic at a high resolution to capture every detail. Hand finished to give a beautiful antique gold effect.